Hard Courts place greater stress on joints and limbs, cause more injuries, limit techniques, and shorten careers. 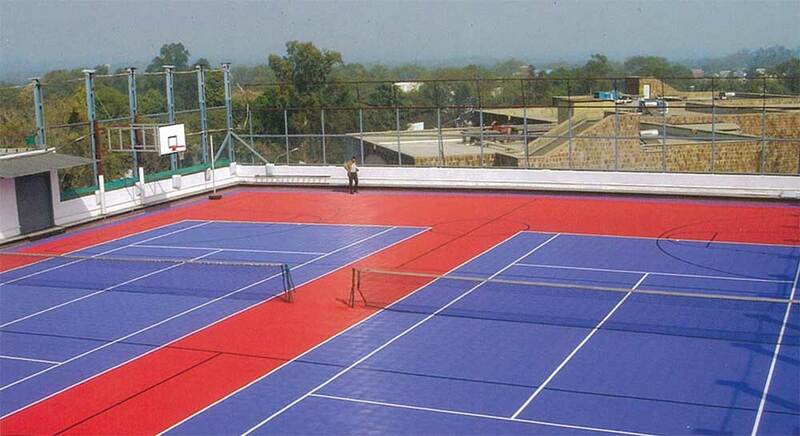 Sport Court’s surfaces bring increased shock absorption and player safety to outdoor courts. PowerGame’s patented two-tiered surface provides optimal traction and the lowest level of abrasion in the industry. PowerGame’s pateneted suspension system provides the highest level of shock absorption while maintaining consistently excellent ball response. Our locking system provides patented lateral forgiveness, helping to reduce joint stress and fatigue.